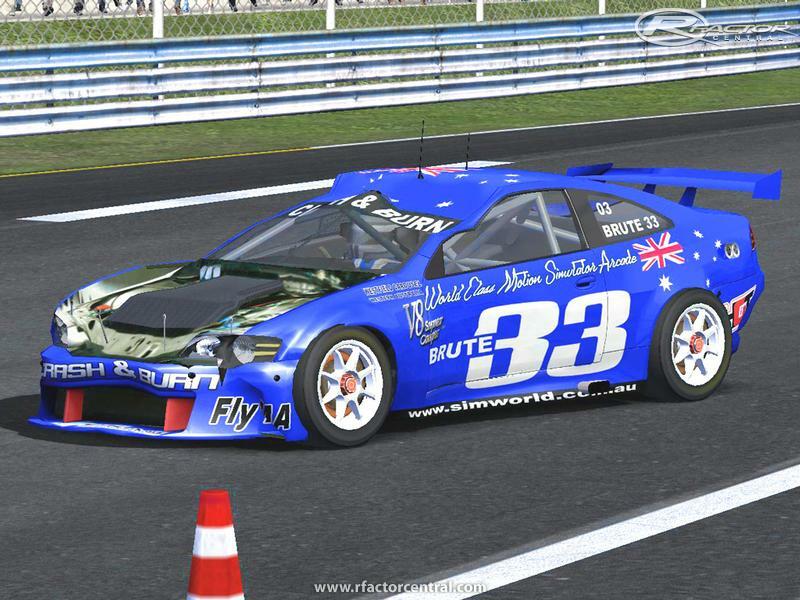 SimWorld Australia are proud to be a part of the rFactor community and would like to thank those who have allowed us to use their mods in our Motion Simulator Arcade. We are releasing this as a way of expressing our gratitude. 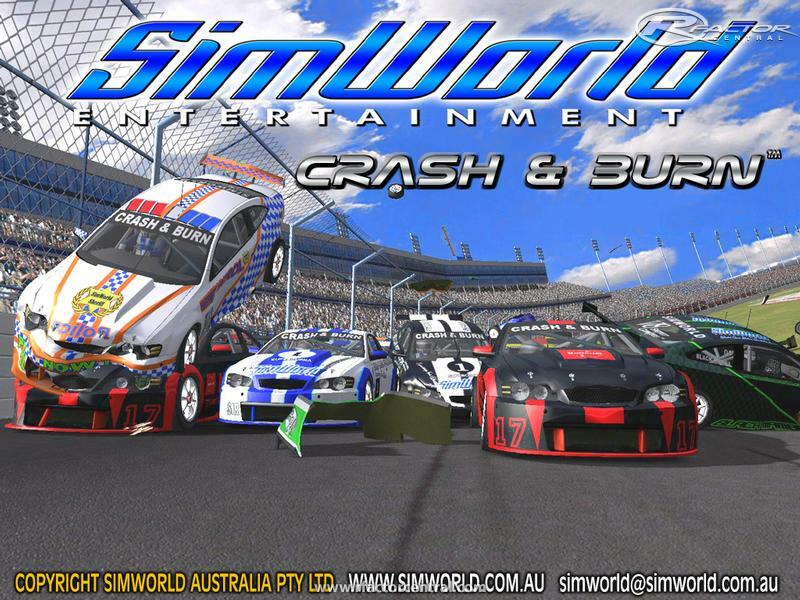 The Crash & Burn mod is also being released in conjunction with our Crash & Burn motion simulator that is designed for coin-op or corporate promotions. 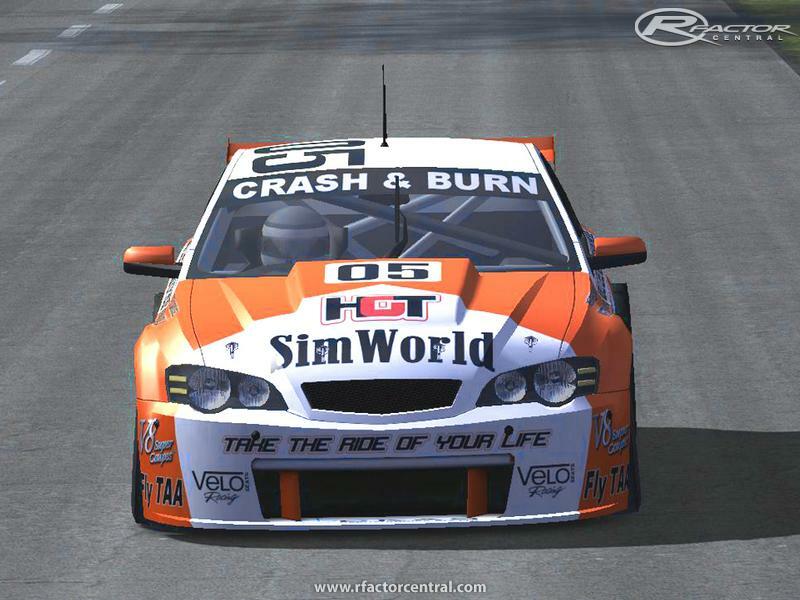 The V8 Supercoupe was designed by the boys from Team ORSM for SimWorld with a standard 700HP engine. We've upgraded the engine and played around with a lot of other areas to get it up to 500km/h and still maintain some level of control. We would like to encourage the track creators to make some purpose built tracks for the Crash & Burn cars as they are whole lot of fun on the understanding that we can include them in our arcade. NOTE: The V8 Supercoupes mod has been designed for flat out driving around oval style tracks (Brianza Oval is very good) and isn't very suited for slower tracks although LeMans & Nurburgring can be a lot of fun. 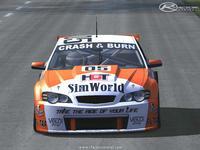 There are currently no car skins available for V8 Supercoupes - Crash N Burn. If you are a painter you can share skins for this mod via the Car Skins area. Visit the Spray Booth for painting tips & tricks. On a side note - we deal with the guys from ISI a lot and I've noticed how well respected Frank55 was in the rFactor community and what he achieved before he passed away. 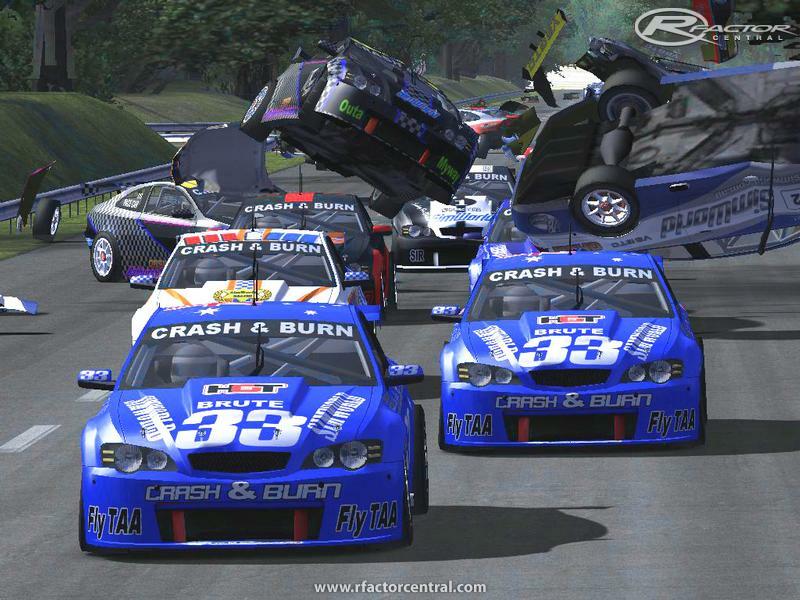 I have asked them if they can pay some sort of tribute to Frank55 with the release of rFactor 2. 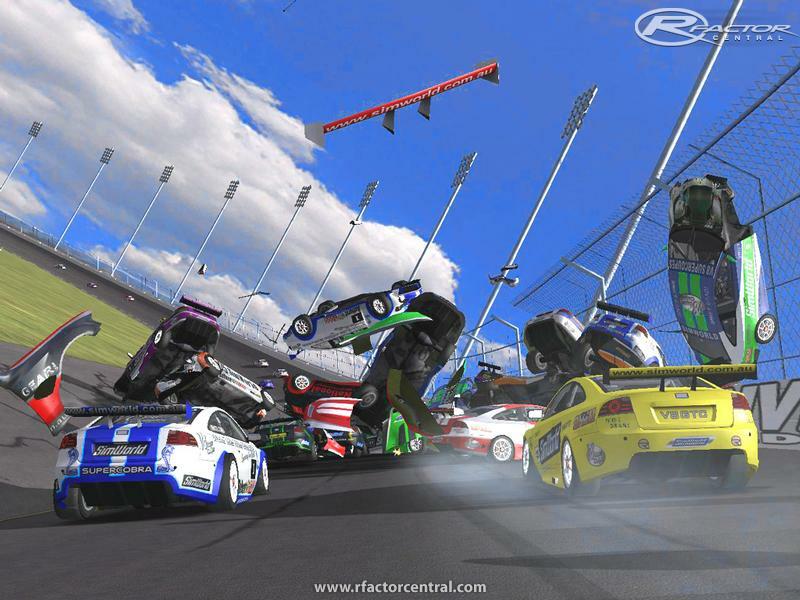 They are currently looking at what may be an appropriate way of showing their respect toward an rFactor community member who developed hi grade mod's for rFactor and helped continue the on-going interest and support for their product. I'll let everyone know what their final decision is. To install just copy and paste the rFM and GameData folders into the main rFactor directory and choose to overwrite the folders. It will simply add the addtional files to your original folder and you should be good to go. When I get time I'll release the more realistic V8 Supercoupe mod that is slightly faster than the V8 Supercars (approx 330km/h) and will handle reasonably well straight out of the box. Special thanks to the guys at RFC for releasing it. 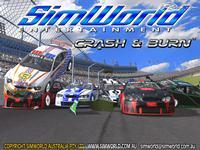 I tried to install this to c:\programfiles\rfactor with no luck,can anyone help with the installation path????? @simworld: A very amusing mod, what with all the Keystone Kops AI driving and flying sheet metal. The physics are surprisingly good for a mod with modest arcade pretensions. I couldn't leave well enough alone though and had to try it on something short and tortured; I chose Le Mas du Clos, a French club circuit that's got the tightest twisties this side of Monaco. The understeer is as massive as a myocardial infarction! The default setup seems to have way too much caster and camber at the front and not enough track bar at the rear. Some adjustments seem to have little or no effect on the handling (like the shock settings). I would have tried the cars on a geographically-correct track, like Phillip Island, but that venue is The Track That Oversteer Forgot. Anyway, I did the best I could with Le Mas (my best was a 1:05 and change...I'm not very good at the wheel), but the front tire temps are still way too high. I love the graphics, though, and the sound. Congratulations! It appears as if the mod is now as complete as it will ever be. I've uploaded it and sent through the links to RFC so hopefully it will get released soon.